The Tie That Holds Your Beer may appear to be a gag item that doesn't work, but it does! Holds beer bottles and cans securely and is comfortable to wear. The tie is made from waterproof neoprene so your beer stays cold and your shirt stays dry. The pouch holds your beer or drink securely so that you can use your hands for other tasks. There are two modes so that the tie is able to hold either a bottle or a can. The velcro neck strap is secure and comfortable and a key chain loop that holds your bottle opener is included. * Holds Bottles or Cans Securely. 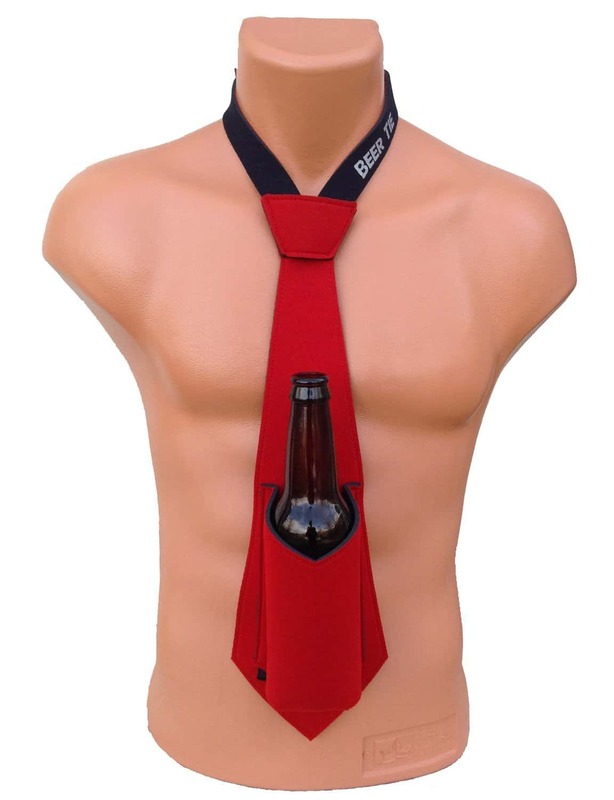 What else could you want from a beer holding tie? I'm assuming that your beer will spill if you plan on doin headstands or skydiving, so activities such as these are probably best avoided while you are wearing your Beer Holding Tie.